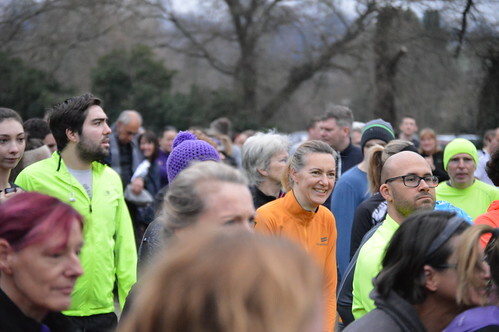 This week 463 people ran, jogged and walked the course, of whom 61 were first timers and 93 recorded new Personal Bests. Representatives of 31 different clubs took part. The following did their 10th parkrun: Amber STUBBINGS, Mark BARTLETT, Deborah HOPKINS, Claire POLLARD, Martin DONNELLY, Catherine AHMAD, Leonardo BORRILL, James LATHAM and Mark TUTIN. Unfortunately, only those under 17 quality for a T-shirt – the rest of you will have to wait until 50 runs. We had 3 people reach the 50 milestone: Sue CARVELL. Isabel MONTESDEOCA and Ruth HOLROYD. Don’t forget to order your T-shirts! A couple of our volunteers will be finishing soon, and we will be in a position to take on a couple of new Duke of Edinburgh volunteers. Unfortunately, we have to restrict the number of U18 volunteers that we have so we can’t take on everyone who applies. 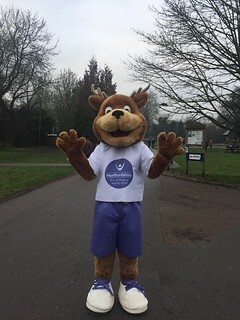 If you are interested in doing your volunteering with us please send an email to Rickmansworth@parkrun.com and tell us why you would like to volunteer with us. We’ll send you a questionnaire to complete. If you are accepted as one of our DofE volunteers we will put a schedule together for you giving you a cross section of our volunteer roles to cover. Don’t worry – we will give you full training. Parents – please get your son’s and daughters to make the applications to us themselves. Sadly, we have to report that once again an Under 11 was found running alone without a parent or guardian. parkrun’s rules are very strict on this. U11’s must at all times be within arm’s reach of an adult guardian. If you allow your child, or the child you are responsible for, to run unchaperoned you run the risk of having your results removed. I had several runners last week report to me about a young girl who was running alone. This also affects other runners as they stop to try and help the unaccompanied child. Thank you for reading. 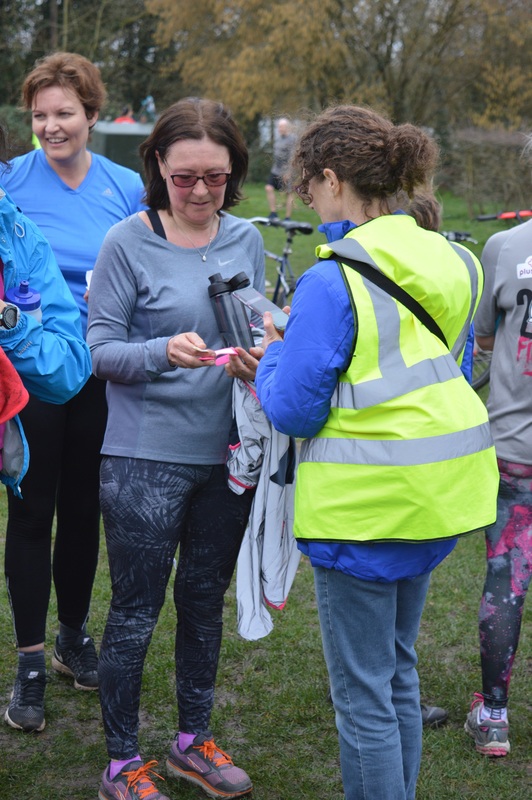 If you have got this far and would like to volunteer please send an email with your barcode number to rickmansworth@parkrun.com and tell us when you’d like to volunteer and if there is a particular role you would like to do. Event #106 – Wind, Barriers but No Guinea Pigs! 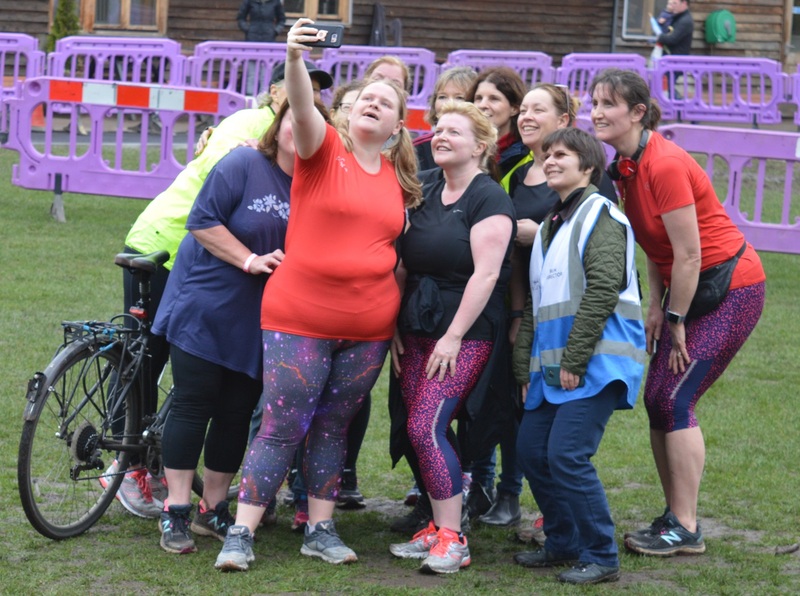 Despite the barriers and mud this week 456 people ran, jogged and walked the course, of whom 55 were first timers and 52 recorded new Personal Bests. Representatives of 27 different clubs took part. Well done to all and great to meet our visitors from Dorset, Devon and Cornwall. I know we gave them a very warm welcome. Congratulations to Mary Withall for completing her 25th volunteering as she is now a member of the coveted purple club. 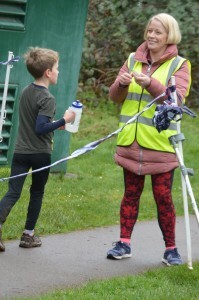 Mary has a long history of volunteering at Ricky parkrun, often uncredited so she deserved the superior drum roll she got. I mentioned on Saturday that we have an automated external defibrillator (AED) located in the entrance of The Café in the Park and one of our parkrunners spoke to me afterwards about her own personal experience regarding the use of an AED highlighting how important it was that we all know where these are located in our communities. While I should stress that the need to use an AED is very rare, it’s use can save lives. Please remember to be courteous to other park users. A member of the public approached me to say that she is unsteady on her feet and fast, approaching runners caused her some alarm on Saturday. Although we all know that parkrun is every Saturday at 0900, it can come as a bit of a surprise to the innocent so please be careful. The event was made possible by 29 volunteers, many of them members of the Ricky Running Sisters (RRS) this week. Honorary RRS member and fellow Run Director, Rob Withall deserves a special mention for the behind-the-scenes help he gives even when he is not on duty. 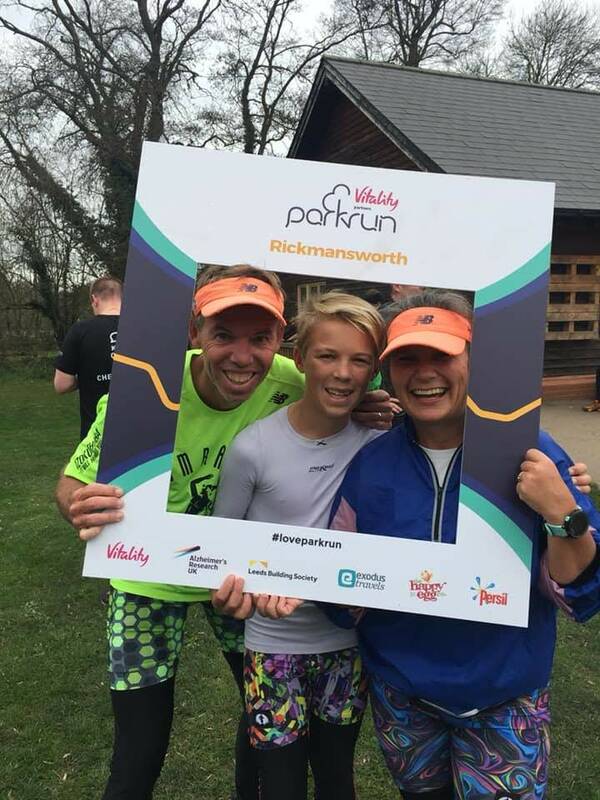 Rickmansworth parkrun started on 4th March 2017. Since then 6,885 participants have completed 37,393 parkruns covering a total distance of 186,965 km, including 8,188 new Personal Bests. A total of 480 individuals have volunteered 2,324 times. I believe I can open with a whoop whoop this week as a colossal 531 people ran, jogged and walked the course, of whom 93 were first timers and 57 recorded new Personal Bests. Representatives of 37 different clubs took part. What a fabulous start to RED, dry or whatever January everyone is doing. Jackie and Malcolm Hall on each completing 150 parkruns. Did they run every one of them together? Joanna Evans on closely following the award of a coveted purple shirt, she now gains her red one! 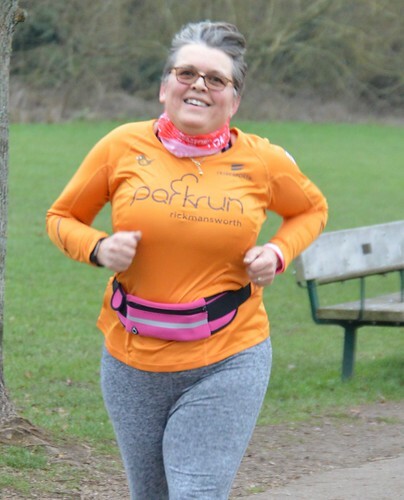 Well done on her 50th parkrun. 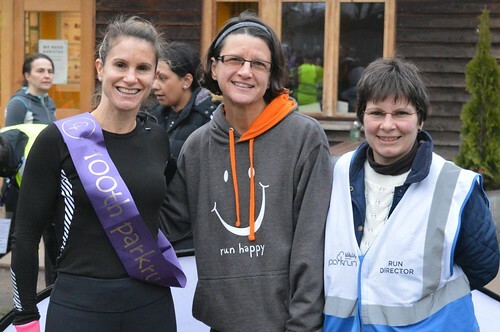 Ali Young – Team GB member, endurance runner and parkrun volunteer, huge congratulations on completing her 100th parkrun. First home was Allan James Stewart at 17:23 and our first female was Ali Young (we knew her 100th would be celebrated in style) at 18:58. 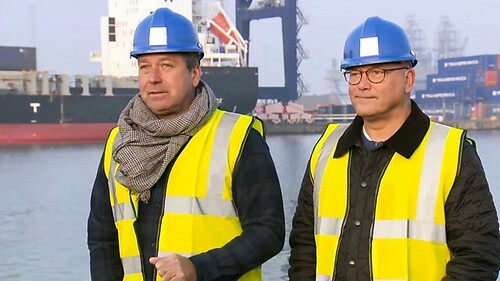 Well done to both of them. Turn left at the lake otherwise you'll fall in! 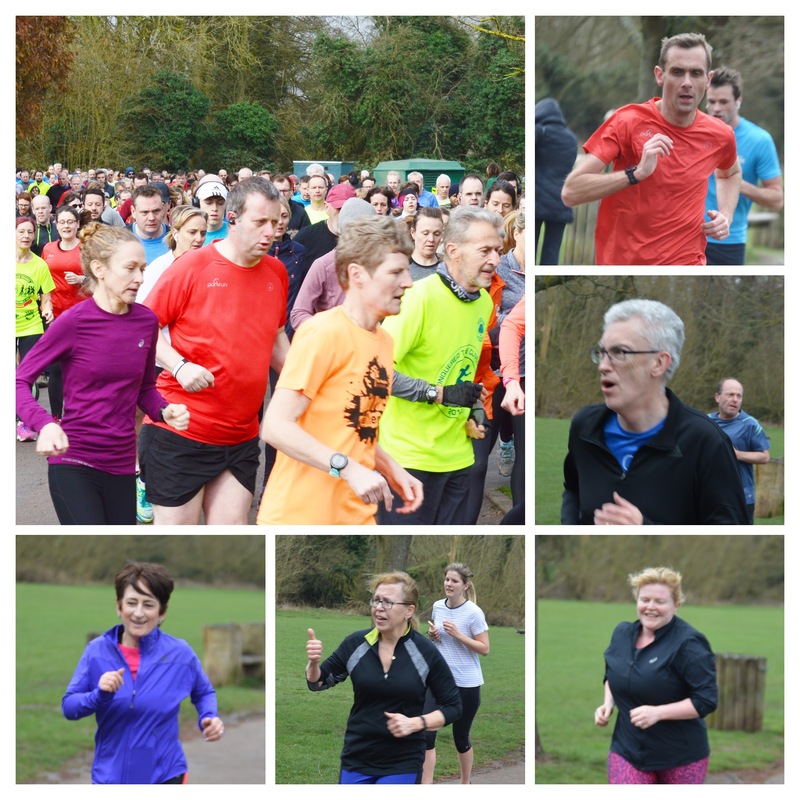 Rickmansworth parkrun started on 4th March 2017. Since then 6,380 participants have completed 33,329 parkruns covering a total distance of 166,645 km, including 7,524 new Personal Bests. A total of 452 individuals have volunteered 2,106 times. Saturday saw us hold event Ricky parkrun number 91, on a dark, wet and miserable morning that had even the ducks looking for a bit of shelter. 199 brave and heavily waterproofed souls ran, jogged and waded the course, of whom miraculously 11 were first timers (WHY??) and remarkably 23 recorded new Personal Bests (HOW??). Representatives of over 20 different clubs - several of which were presumably watersports based - took part. At the sharp end of the field, Ricky regular James Turner splashed round in a great time of 18:07, followed by Justin Archer in 19:36 and Richard Moss in 19:39. First lady finisher was Sasha Birkin in 20:08. 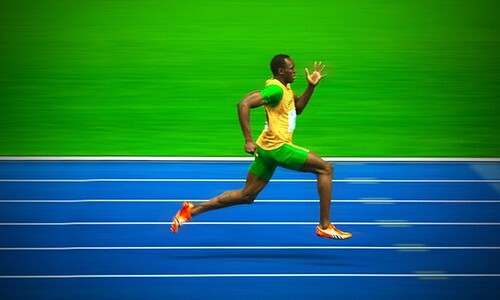 Great running all round. Anyone wanting to help out as a volunteer at future events should contact the Ricky HQ (rickmansworthoffice@parkrun.com). Please remember that without sufficient numbers of volunteers each week, we will not be able to put on safe, fun events. Please get in touch and do your bit! 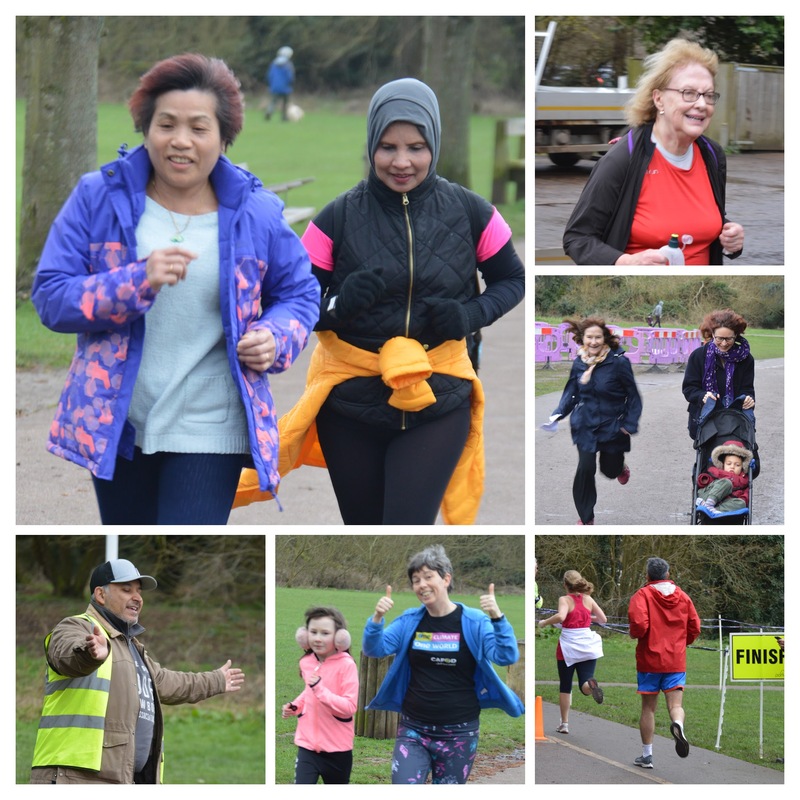 The weather is looking a little better for this weekend, so we're looking forward to seeing you all again on Saturday for another great Ricky parkrun. Until then, have a great week and look after yourselves. As ever, this week's Ricky parkrun was entirely put together through the generously donated time of our volunteers. Unfortunately, this week we didn't have anyone put themselves forward for the photographer role, so as a best endeavour, I have used stock photos and my increasingly shaky memory to best represent the event. Should any of you feel these images do not do us justice, feel free to put yourself down on the roster as photographer in future - no experience required, albeit a camera would help. So to the event itself; Saturday saw us hold event Ricky parkrun number 87, on a bright autumnal morning that was pretty much perfect for getting out and running. 410 people ran, jogged and walked the course, of whom 53 were first timers and 79 recorded new Personal Bests. Representatives of 29 different clubs took part. At the sharp end of the field, Ealing Eagle Laurence Elliott trotted round in a great time of 17:45, followed closely by James Turner in 17:51 and Oliver Howells in 18:10. First lady finisher was Ali Young - despite still carrying an injury! - in 19:16. Great running all round. Our volunteers this week. 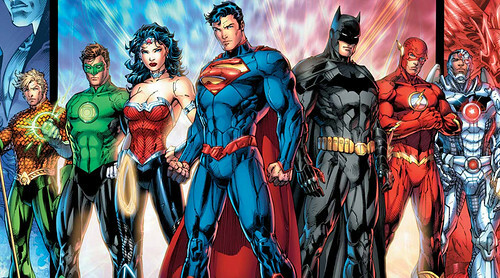 A super bunch. The weather is looking good for this weekend, so we're looking forward to seeing you all again on Saturday for another great Ricky parkrun. Until then, have a great week and look after yourselves. 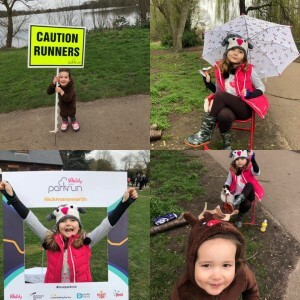 #Event number 85…PBs Galore and New Run Director Passes Her Probation! A chilly but sunny autumn morning welcomed 436 runners, walkers and joggers to Rickmansworth Aquadrome this week. We had 67 first timers, what a fantastic location for your first parkrun, but I am biased and 34 different clubs were represented. Now it may have been the suggestion of a Personal Best (PB) prosecco that encouraged so many of you to get one this week, whoops is that 90 drinks I need to buy? I promise to read my briefing notes next time which reminds me to thank everyone for being so supportive for my Run Director debut, parkrunners and volunteers were all incredibly encouraging. What a wonderful family parkrun is. Results: Dan Watts was first over the line with an impressive 16:21 time and first female was Ali Young with a sparkly 20:03 finish. Well done to both of them. 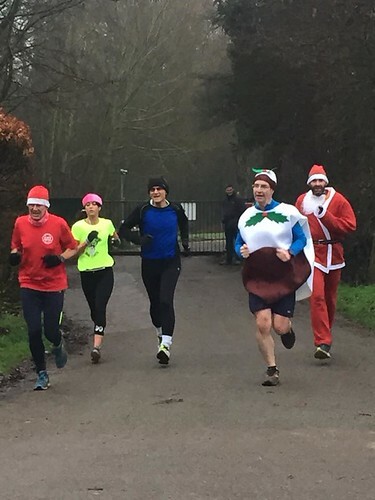 Today's full results and a complete event history can be found on the Rickmansworth parkrun Results Page. Unfortunately, we had a number of tokens go missing this week. Please search the usual places and return them if you find them. There will be no fines, tuts or grumpy mother looks deployed but we would love them back as the token elves hate making up new ones. Duke of Edinburgh Award We have quite a few Duke of Edinburgh Award Volunteers. We do have to limit the number of DoE Volunteers each week to ensure we have enough adults around to help. 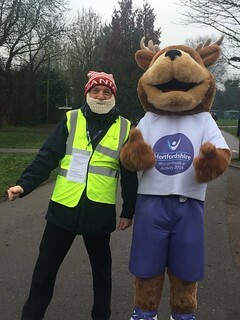 If you would like to volunteer at Rickmansworth parkrun as part of your DoE, please email rickmansworthhelpers@parkrun.com. We cannot take everyone who requests to volunteer with us. However, you can also try other local parkruns and also consider Junior parkruns. 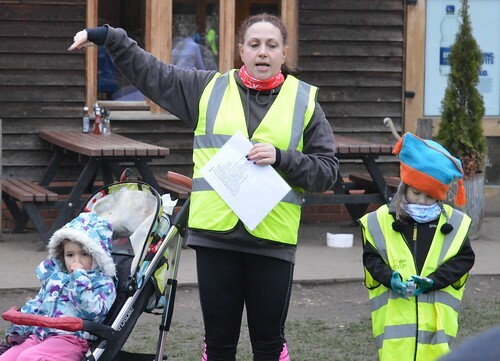 Junior parkruns take place on Sunday mornings. The nearest ones are in Leavesden and Bushey. 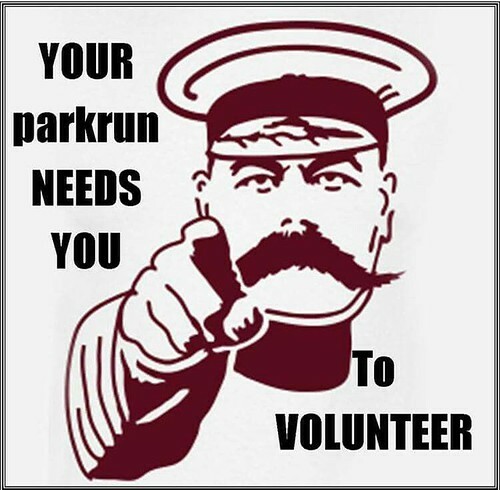 Anyone wanting to help out as a volunteer at future events should contact the Rickmansworth HQ (rickmansworthoffice@parkrun.com). The male record is held by Thomas BEEDELL who recorded a time of 15:57 on 4th November 2017 (event number 35). 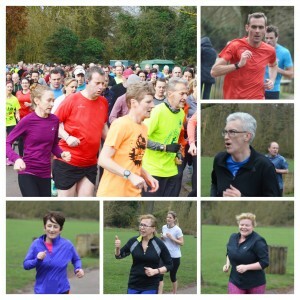 Rickmansworth parkrun started on 4th March 2017. 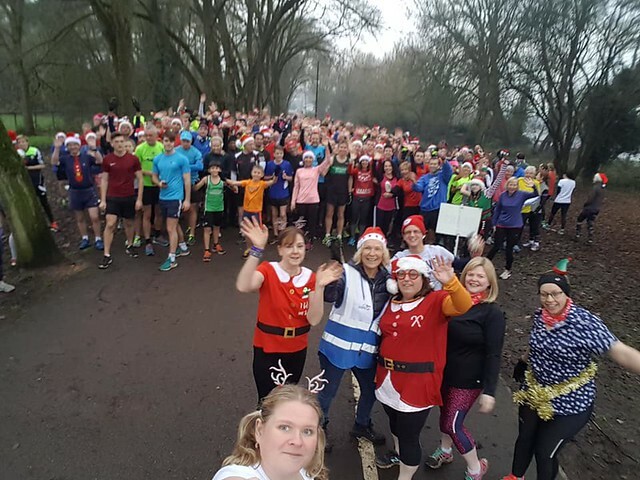 Since then 5,713 participants have completed 28,428 parkruns covering a total distance of 142,140 km, including 6,812 new Personal Bests. Saturday saw us hold event number 82 at Ricky parkrun, on a crisp, sunny morning that was pretty much perfect for getting out and running. With a few local races due to be held on Sunday, our numbers were down slightly on recent weeks, but what we were short of in bodies was more than made up for in energy, bonhomie and application. In amongst the Ricky Regulars ('Rickulars'? ), we were lucky enough to be joined on Saturday by parkrun royalty and tourist journeymen Tom Williams and Ian Rutson from parkrun HQ. Hopefully, with such a beautiful morning and all our runners and volunteers in such fine, smiley form, we gave a pretty good account ourselves (as we always do!) to them and all our other guests?! So to the event itself; 331 people ran, jogged and walked the course, of whom 44 were first timers and 67 recorded new Personal Bests. Representatives of 27 different clubs took part. At the sharp end of the field, South London Harrier Will Cullen flew round in a great time of 16.28, followed closely by Chiltern Harrier James Repper in 16.56 and Oliver Howells in 18.02. First lady finisher was Ali Young - despite carrying an injury! - in 20.31. Great running all round. 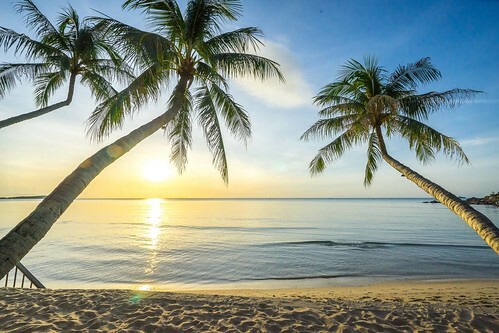 We always have a reasonable number of tourists at Ricky but this week our longest travelled tourist was a lady from New Zealand who was visiting relatives. 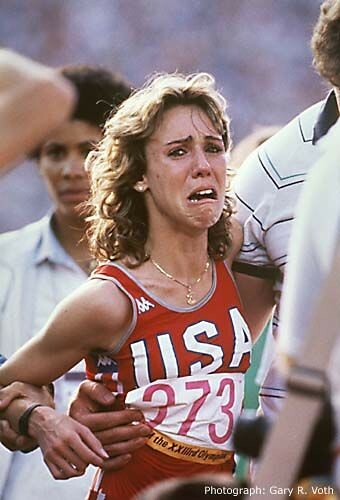 I am sorry that I have forgotten your name but I hope you enjoyed our parkrun. 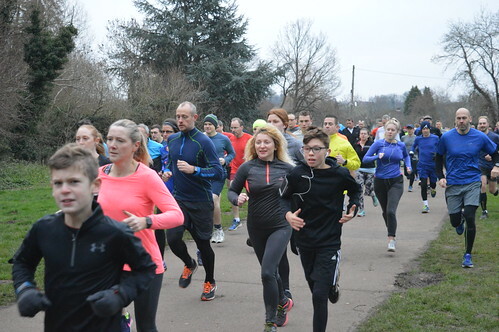 This week 396 people ran, jogged and walked the course, of whom 62 were first timers and 77 recorded new Personal Bests. Representatives of 22 different clubs took part. Congratulations to Sheila CHANDLER who ran her 50th parkrun and also to Graham BLYTH who gained a new PB on his 70th Birthday. Our first Male finisher this week was Richard COLES of Gade Valley Harriers with a time of 17:01. It was a new PB for Richard. Our First Female Finisher was Jennifer HARVEY from Hillingdon AC with a time of 18:51. It was also a new PB for Jennifer.